You'll be £16.99 closer to your next £10.00 credit when you purchase Dark and Bloody Ground. What's this? 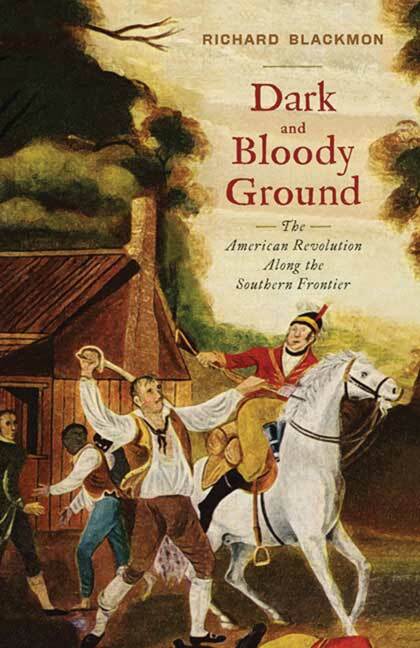 conditions, the war in the south took on a savage character—what today would be called total war—as Indians, British officials, Loyalists, and Whigs all desperately fought to defend their independence along the frontier. The southern frontier was not a single expanse, but rather was comprised of several distinct points of contact in Georgia, Kentucky, South Carolina, North Carolina, and Virginia between American Indians and white settlers. In central Kentucky, Anglo-American settlements exposed themselves to the Indian tribes north of the Ohio River, led by the Shawnees. In present-day northeast Tennessee, the settlements were in close proximity to the Overhill Towns of the Cherokees, while in the northwest part of South Carolina the settlements faced the Cherokee's Lower, Middle, and Valley towns. White settlements northwest of Augusta, Georgia, faced the Valley and Lower towns of the Cherokees as well as the Lower and Upper Creeks. The Indians too had contested frontiers among themselves, including the Cherokee–Creek frontier in northern Georgia (the Cherokees having secured that area with their victory over the Creeks at the Battle of Taliwa) and the Cherokee–Shawnee frontier in Kentucky, where frequent clashes between hunters of both tribes became so commonplace that the Cherokees referred to the area as a “dark and bloody ground.” In Dark and Bloody Ground: The American Revolution Along the Southern Frontier, historian Richard D. Blackmon uses a wealth of primary source material to recount and explain the events that marked the struggles of American Indians and Anglo-Americans in the colonial South during one of the most turbulent periods of North American history.